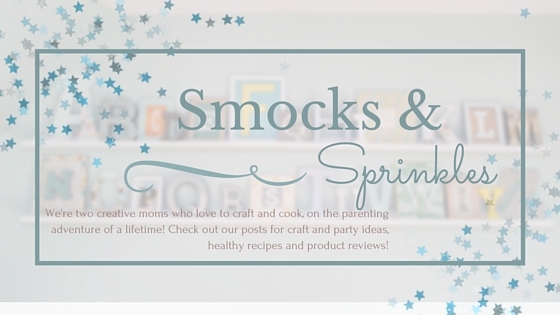 Smocks and Sprinkles: Bananas for Yonanas! 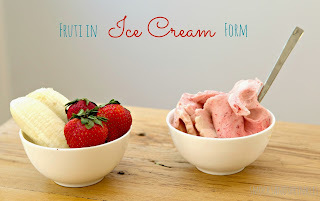 Your daily serving of fruit in ice cream form? Didn't think this was possible until I discovered the Yonanas "ice cream" maker. It has changed my life. 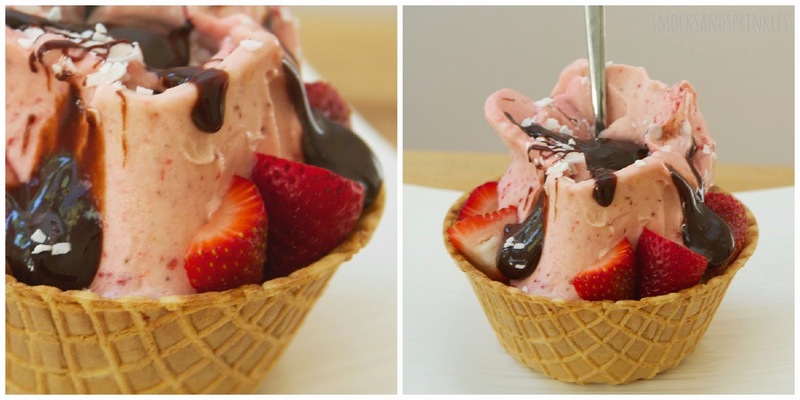 Dessert after dinner is no longer a boring bowl of cut up fruit. Ice cream after dinner every night! Or even for breakfast! Or for a healthy snack! Okay, the ONLY ingredient needed to churn out delicious ice cream is frozen fruit. That's it. Just fruit. How incredible is that? Vegan and no added sugars...HURRAY! Move over frozen yogurt, there's a new kid in town. 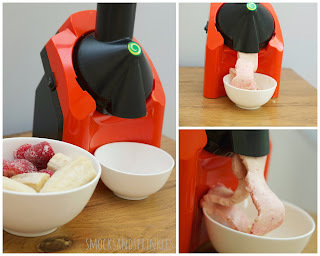 I found the Yonanas machine for the best price at Walmart. There is an elite model, but the basic model works perfectly. The trick is to freeze the bananas when they are spotted (nice and sweet but not too ripe). Peel, wrap whole in cling wrap and freeze for 24 hours. Thaw frozen fruit for 10 minutes before using. 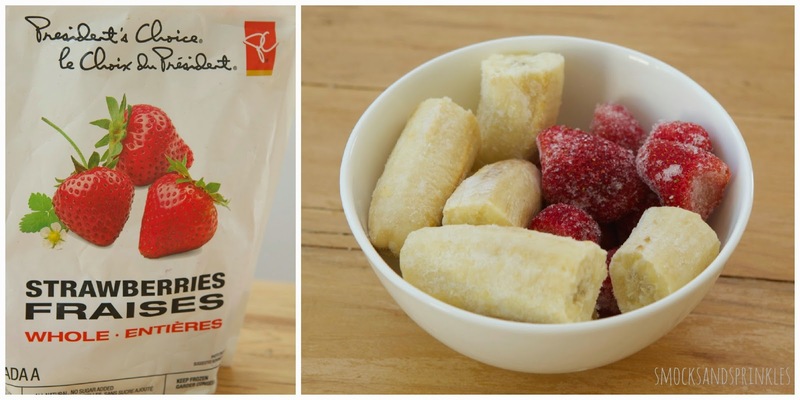 You can buy bags of frozen fruit at the grocery store. My favourite flavour is banana strawberry. 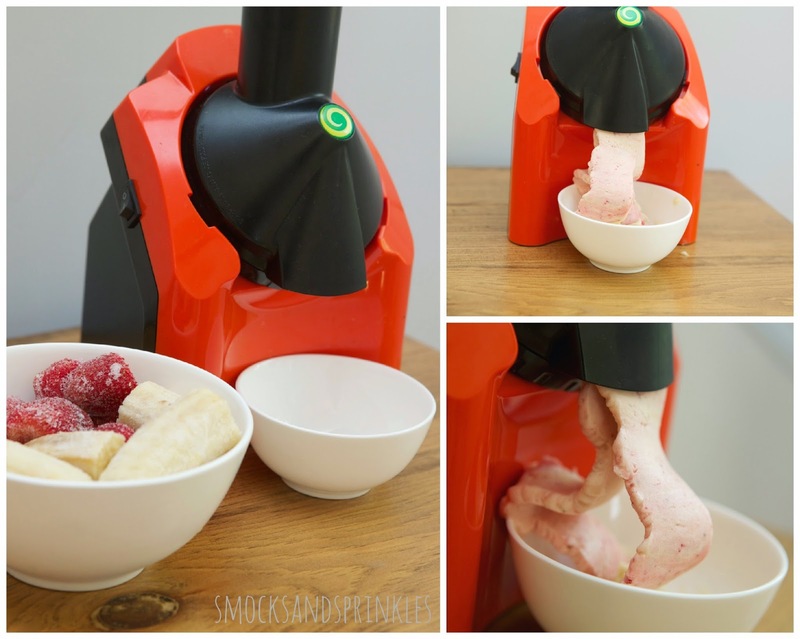 You just alternate pushing in chunks of frozen banana and strawberry into the machine. And voila, ice cream is served in minutes. The consistency is a lot like soft serve ice cream. I find it creamier and smoother than using a food processor/vitamix. 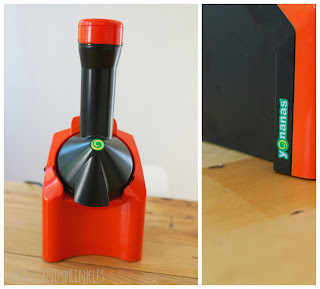 Never waste fruit again! Bananas going ripe? 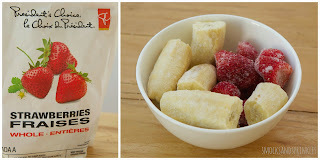 Forget banana bread when you can make Yonanas! Save money. A lot cheaper to make your own frozen treat at home. The ENTIRE family will love it (husbands included). You feel good eating it and even better when your kids eat it. Endless combinations of flavours and lots of recipes available online (yes, even chocolate recipes). Great as a healthy topping for waffles/crepes (Au Revoir whipped cream!). The machine is called Yonanas. Seriously, is that not the cutest name? That's it, I am naming my next pet Yonanas! Tip! Want to kick things up a notch? Throw on some toppings: shredded coconut, fresh fruit, granola, nuts...go wild. My daughter loves putting the toppings on herself. That's organic chocolate sauce, I promise! Note: Yonanas did not sponsor me to write this raving review. 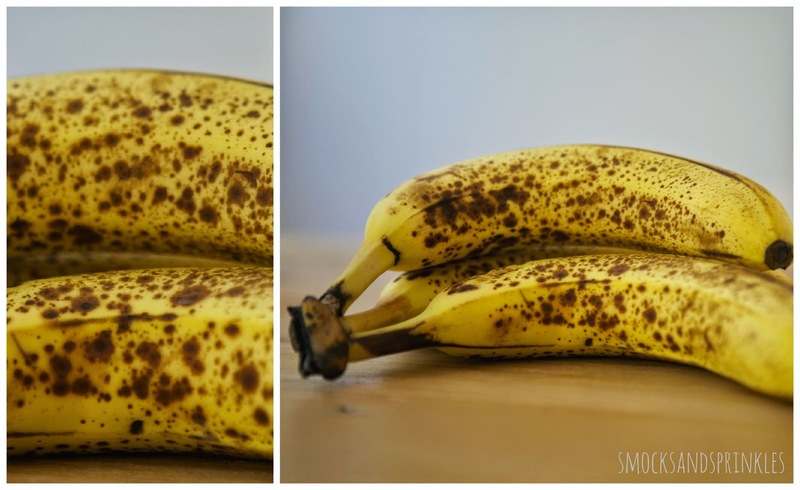 I am simply BANANAS for Yonanas! 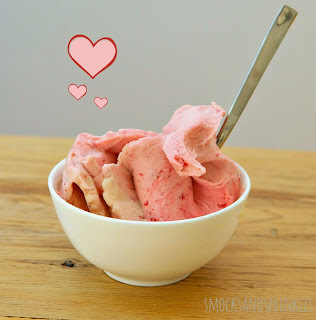 What's your favourite Yonanas recipe? Presently a days home apparatuses are most imperative accomplice of our lives. we can,t do nothing without these hardware. you ought to be consent to this truth and ought to simple your existence with the use of Stainless steel Tables, Ice Makers, Beverage coolers and Fridges, Slush Machines , Soft Serve Machines, Popcorn Machines, Butchery Equipment , Bakery Equipment , Refrigeration Equipment , Catering Equipment available to be purchased, Catering Equipment , providing food hardware on the web, Underbars, Display refrigerators, Soft Serve Machines, chip fryers,fryers, Cold room, Freezer room, Ice cream Machine and Ice Machines.